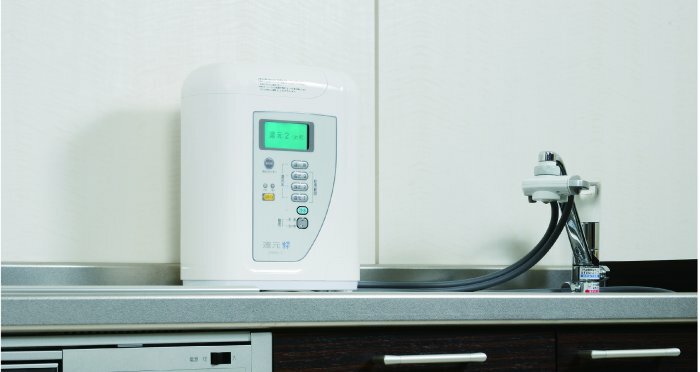 KANGENSUI is a home water purification instrument that can be directly connected to a faucet at your home. It is not only capable of purifies your tap water with a high quality micro carbon cartridge, which filters most of toxic substances in tap water, to produce "safe" water, but also electrolyzes that purified water to generates more hydrogen to make it "healthy" water for your family. Every Day is a Brand New Day! Healthy, Stylish, Economical, and Ecological lifestyle. Cube+ supports a vibrant lifestyle with home water. The highest grade of KANGENSUI series. 7 platinum-plated electrodes maximizes an efficiency of electrolysis. All features and functions to bring Safe and Healthy Water For Your Family!